Working late doesnt mean you have to have leftovers, instant noodles or takeaways. 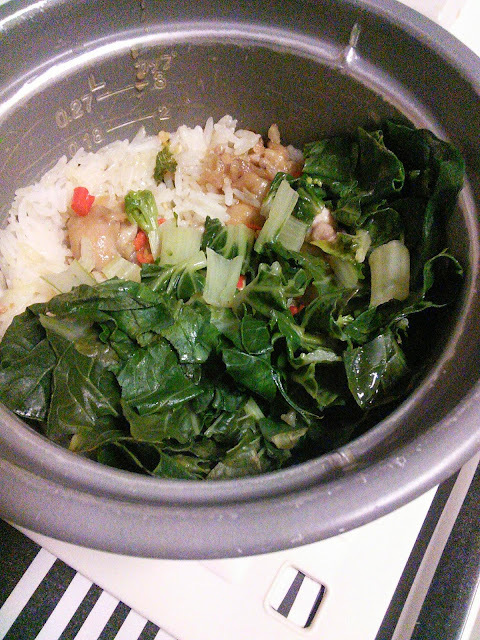 All you need is a small rice cooker and fresh food. It only took 15 minutes to make this. Hi Maureen, I'm a huge fan of your restaurant and read this on your blog a few months ago. I'm in college overseas now, missed home and thought of this. I tried it today and added some coconut milk, oyster sauce, fish sauce, and garlic. It turned out delicious. Thanks for the inspiration and great food!